A fantastic first book on our Universe, this is the perfect companion for budding astronomers ages 6 and up eager to understand all about the Earth's place in space. Discover what a star is, how the Moon looks close up, and what tools astronomers use to look at space. Nature Explorer Night Sky encourages little explorers to get outside and covers all the key objects that children will want to learn about, including meteors, comets, asteroids, the Sun, the zodiac, and the patterns we call constellations. 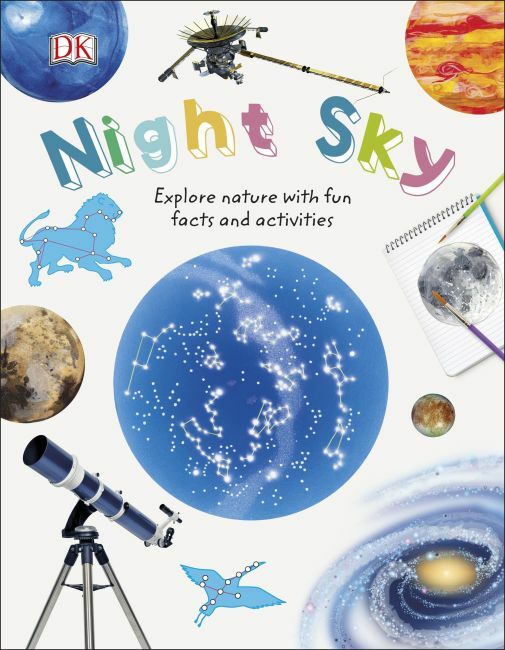 With exciting activities, such as how to look at the Sun safely, and plenty of fun space facts, this beautiful book is a must for children curious about the night sky.